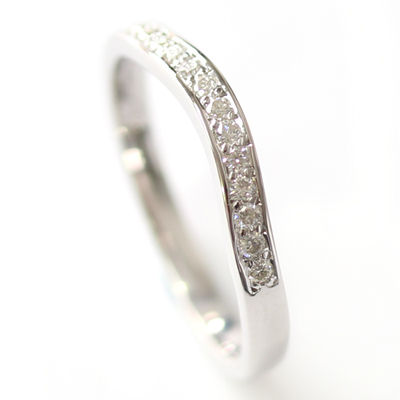 9ct White Gold Diamond Set Fitted Wedding Ring — Form Bespoke Jewellers Ltd.
A pretty diamond set fitted wedding ring cast in white gold. 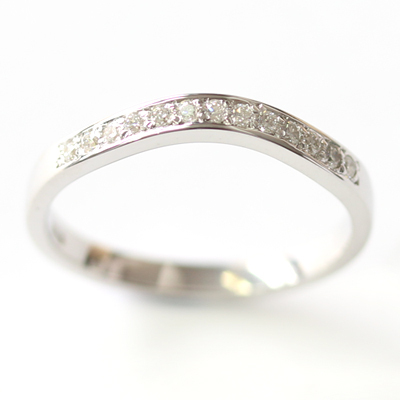 The customer returned to us for a bespoke fitted wedding ring that would sit alongside their trilogy engagement ring. The soft curve of the ring undulates neatly around the trilogy setting with a row of 13 round brilliant cut diamonds framing it beautifully. The diamonds are of matching colour and clarity and have been grain set with a border to ensure a flawless, tactile finish. A beautiful and bespoke handmade fitted wedding ring.